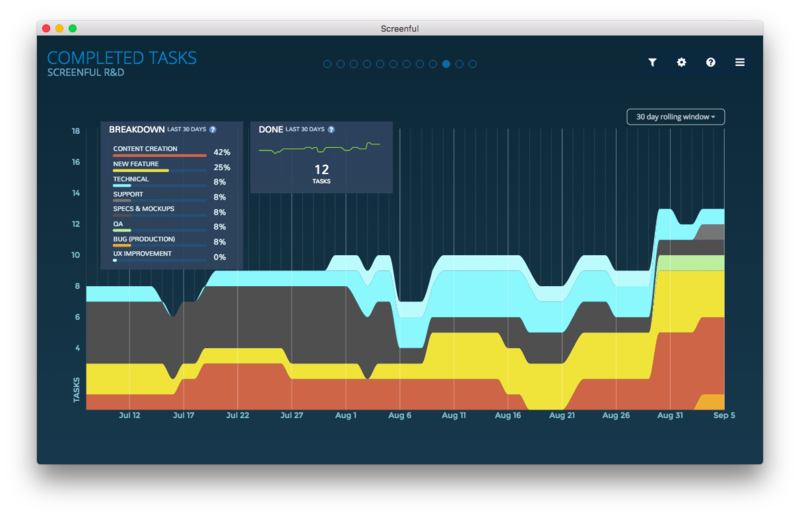 With Screenful, you can see the current status of your Asana projects as well as longer term trends in a visual dashboard created from your Asana data. Track sprints and milestones, explore metrics, and click through to see individual tasks behind the numbers. Access Screenful with any of your devices or project dashboards on the office TV. Why connect Screenful and Asana? Screenful helps companies identify what kind of activities they are spending their time on, visualize progress on projects, measure their capacity, and make priorities visible. Sign up for a Screenful account. For help, visit Screenful’s FAQ page or contact Screenful’s support at support@screenful.com.